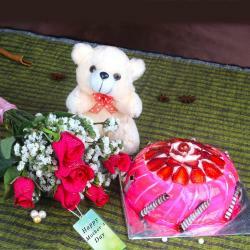 Product Consist : 6 Pink Roses Bouquet, 10 Bars of Assorted Chocolate along with 6 Inch Teddy Bear. Mother' Day is celebrated every year to honour and respect a mother. The flower is a pure and beautiful creation of Nature. In this gift set mom gets a cute love with some delicious sweet munch so send these products let her pamper herself to her heart' content, all courtesy of you. 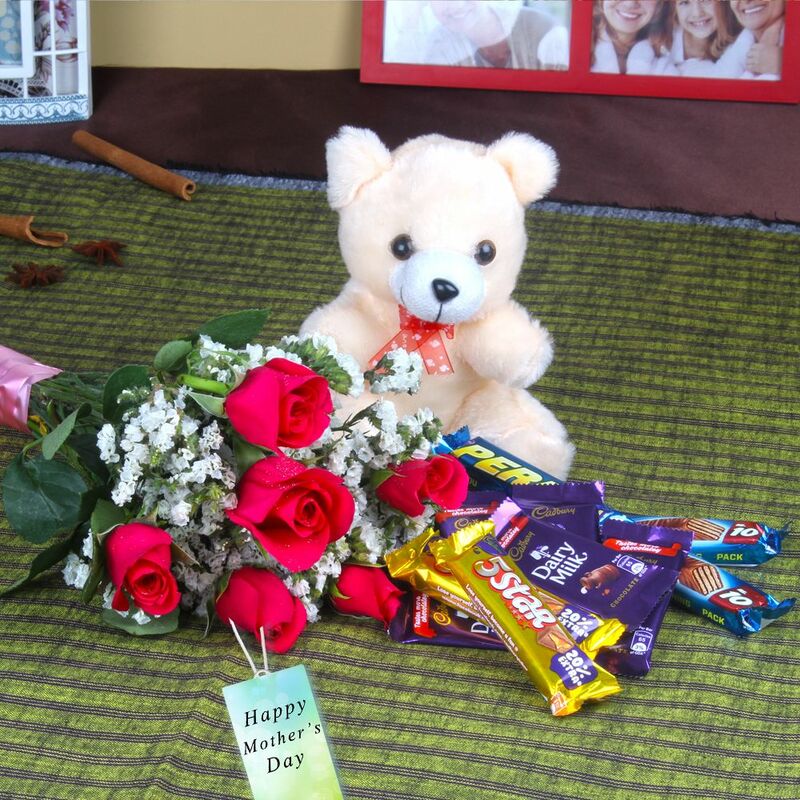 Best Nature presentable gift is Chocolates and Teddy Bear with Roses Combo for Mothers Day to the beautiful lady, because of its beauty and purity would surely express our feelings easily as compare to words. This stunning flower arrangement has been picked fresh for you to help you celebrate a Mother's Day, Birthday, Anniversary or express your thank you or get well wishes. This gorgeous flowers is a wonderful way to convey your sweetest wishes in honor of a Mother's Day, Birthday, Anniversary and many more. 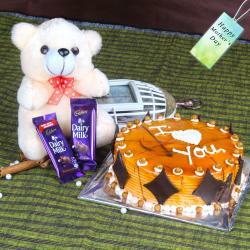 This Chocolates and Teddy Bear with Roses Combo for Mothers Day gift is exclusively available at Giftacrossindia.com only. 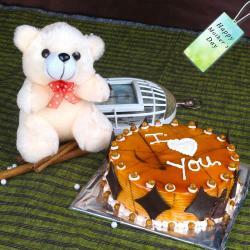 Our breath-taking products will surely mesmerize you at a glance. 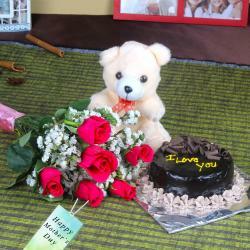 Product Includes : 6 Pink Roses Bouquet, 10 Bars of Assorted Chocolate along with 6 Inch Teddy Bear.